Welded steel pipe, as one common type among various steel pipes in the current steel pipe market, is molded from steel plate or steel sheet and then undergoes the welding processing in a mill. Today, Tianjin steel pipe has the complete steel market in the steel industry, which greatly meets the application needs of different customers around the world. Each year, more than 1/3 of steel pipes in domestic market are from Tianjin region. Tianjin steel pipe enjoys a good reputation for its considered after-sales service, which somewhat ensures customers to buy the comfortable products with the rest assured in the actual use in future. Besides high quality, Tianjin steel pipe price is always a hot topic in the steel pipe market in 2018. By and large, there exists a changing trend in the steel pipe price but the overall situation is relatively stable in the steel market. There will be a growing trend in the transformation of Tianjin economic development in 2018. Today, more and more steel pipe manufacturers will adopt a green mode development in order to keep with the pace of the times. Nevertheless, it will increase the production costs and make certain influence on the profits in the short run. In the course of actual procurement activity, Tianjin steel pipe manufacturers tend to offer customers a detailed quotation sheet, including the definite contrast between pipe specifications and the corresponding pricing. 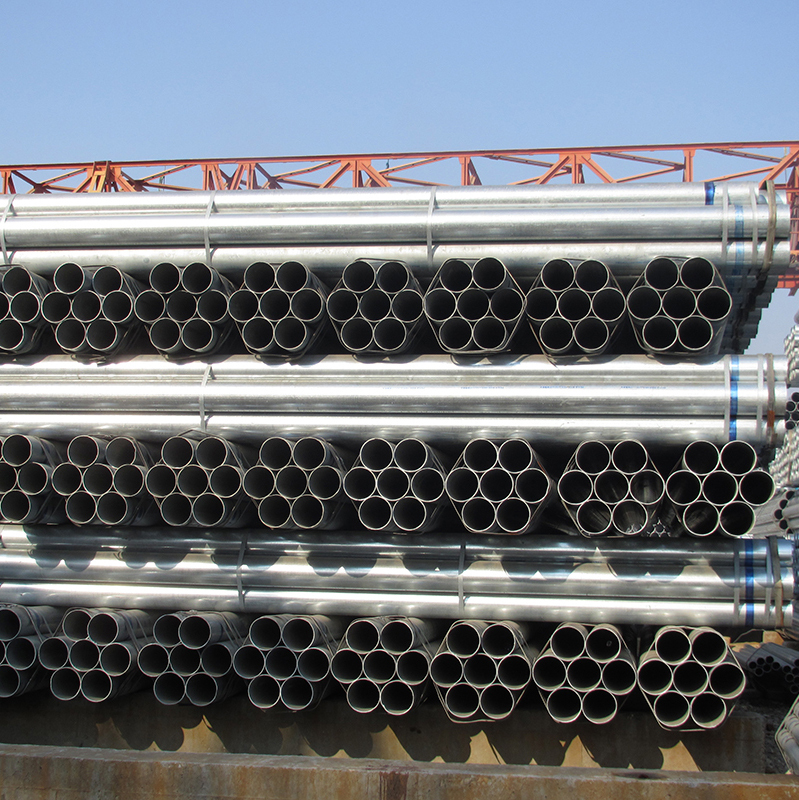 In view of different production costs of various pipe specifications, steel pipe pricing is also different. With reference to hot dipped galvanized steel pipe, we all know that zinc, as a toxic substance, is likely to cause certain pollution and damage to the human body and the environment. Environmental protection investment to somewhat, will increase the production costs of galvanized pipe, which can be considered one important factor to affect the steel pipe price of galvanized pipe in the steel market in 2018. In addition, welded steel pipe sizes can also be regarded as another important factor to influence the final pipe pricing. For instance, galvanized square steel pipe price is obviously different from round steel pipe. And longitudinally welded steel pipe has a lower production cost than spiral welded pipe. Besides, galvanized steel pipe will have different pricing per as its different applications in real life. At present, there shows a rising trend towards hot dipped galvanized steel pipe prices. Nevertheless, considering that this type of pipes has more practical purposes, galvanized steel pipe has and will have a broad market prospects in future.